Long Shield Plaque Sword Display | BUDK.com - Knives & Swords At The Lowest Prices! 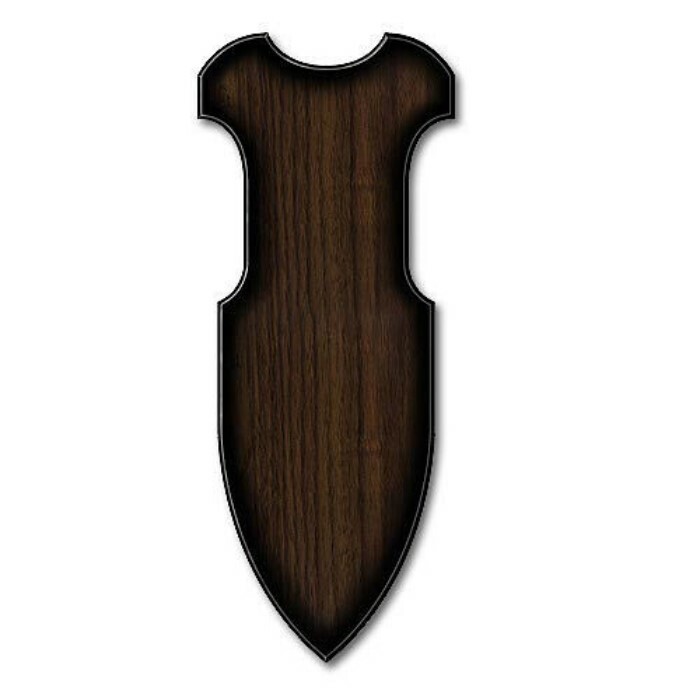 This hardwood display plaque can be used to show off any sword. This item includes metal hanging hooks that can be fitted to the plaque using the pre-drilled holes on the back to customize the plaque to fit any of your swords. Sword not included. United Cutlery, UC1462.